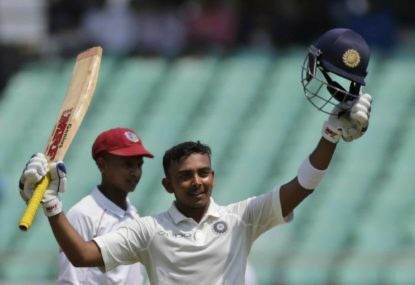 Prithvi Shaw: A new Indian superstar? Similar stocky build? Check. Similar technique? Check. Hundred on debut in Ranji, Duleep and Irani trophies? 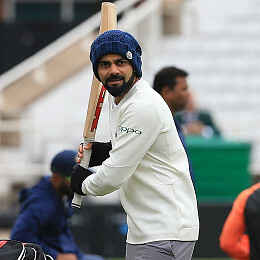 Check, check and never mind, let’s make up for the last one with a century on Test debut instead. What message does it send if Smith and Warner play County cricket? Should Steve Smith, Cameron Brancroft and David Warner be allowed to play County cricket, or domestic cricket in any other country for that matter? While numbers wise your comment holds true, in reality Maxwell was given the short end of the stick. He did strike an important 45 in the third innings in Dharmasala where everyone failed, and in Bangladesh, only Warner really played decently and he shouldn’t have been discarded so quickly. While I agree that he didn’t set the scene on fire with his consistency, he should’ve been given more than the 4 matches he was given to have a real test of his worth. His scores while not great weren’t exactly horrible either given the conditions and team scores. While I agree that Khawaja should be kept for the next 12 months, it’s solely because of the conditions and opposition faced during that period. Khawaja can smash weak opposition like Zimbabwe and anyone in home conditions, but he really can’t play decent opposition overseas. He needs to find a way to amend that, or he’s out once Smith returns. 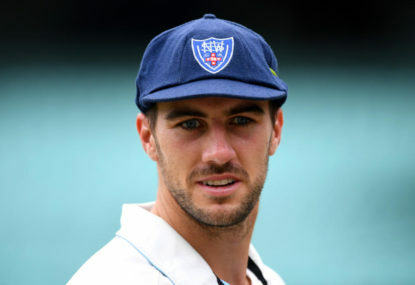 While Mitchell Marsh is a long term prospect, with his first test 96 especially impressing me where everyone else struggled to stay in for long periods of time, I struggle to support Shaun Marsh’s inclusion. Even Handscomb is a long term prospect for Australia given his age, but Shaun marsh is already 35 and still highly inconsistent. Zimbabwe and Bangladesh series should be used to blood new batsmen instead and maybe just keep Shaun in the squad for his experience factor. Totally agree, the South Africans had a lot of positives, with Ab De Villiers, Markram, Elgar, Rabada, Philander, Morkel all standing up at various points of time during the series. I too feel Markram’s performance was the most impressive given his relative inexperience till now. His first century was especially important in standing up to the Australians and reminding the South Africans that the series wasn’t lost yet and that they still could fight back, which I feel was the turning point and gave the South Africans to believe in themselves and win. I agree, I was similarly impressed with his performance on the unforgiving pitches in India, where he bowled with sustained intensity even when Pujara and Saha were going great guns and trying to tire the Australians out. Thanks for the compliment Paul, yes I agree Paine performed admirably, but I feel that his contributions were just highlighted in comparison to his teammates’ below par performances, and did not particularly define or change the tune of any of the innings or matches unlike Cummins who regularly changed the rhythm of the game with his incisive breakthroughs, which is why I stated that he was their best player and find. However, yes Paine’s performances were no fluke either and should be very much applauded too. Finch should be given the shorter formats captaincy back after he was unfairly robbed of it before the ’16 t20 world cup. Captaincy wise there are no other candidates anyway. Smith should however return to the team as a batsman in a role similar to Root for England, solely due to his batting capability, and no one else looks better than him anyway. Given lesser responsibilities Smith should be more relaxed and better able to perform for a longer periods of time without breaks. Disagree. Khawaja should be solely used at home, and nowhere else. He hasn’t had a decent knock anywhere outside Australian shores, and he’s had numerous opportunities. While it’ll be tough to drop him given they’re already missing their two best batsmen, they should take the next 2 series as a trial to try out new batsmen like Lehmann, Maxwell, Cartwright and Ferguson and give them chances to cement their places.